Dr. William Lay graduated from The Ohio State University College of Optometry in 1992. He is a previous faculty member in the specialty clinics at The Ohio State University College of Optometry. He is a member of the American Optometric Association, Fellowship of Christian Optometrists, and served as past governor of the Central Ohio Optometric Association. He has served on the Ohio Optometric Association Board of Directors and was OOA President in 2006. Dr Lay remains very active with the Ohio Optometric Association (OOA) and serves as the Ohio Infantsee State Coordinator, EastWest Eye Conference Education Committee member, OOA Finance Committee member, and Principal Investigator for contact lens studies. In 1991, Dr. Lay traveled to Sierra Leone, West Africa to provide eye care to people of third world countries. He lectures to nursing home care providers and has examined nursing home residents as part of Mobile America VisionCare. He is known for his work with geriatric patients and glaucoma patients. Dr. Lay was named the 2001 Young Optometrist of the Year for the state of Ohio and he received the National Young Optometrist of the Year Award in 2002. He also received the National InfantSee Award in 2007 for his promotion of the importance of eye care for infants. In his free time, Dr. Lay serves as an elder and worship team member at Walnut Creek Presbyterian Church. 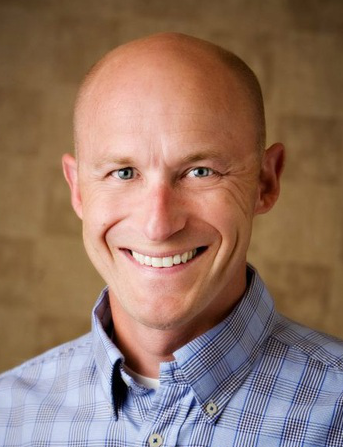 He enjoys spending time outside golfing, hiking and camping with his wife, Dr. Amy Lay, and their three children. He also can often be found on the sidelines coaching his children’s baseball and basketball teams.